Speed up SATA Drives in Windows 7 or Vista. How? 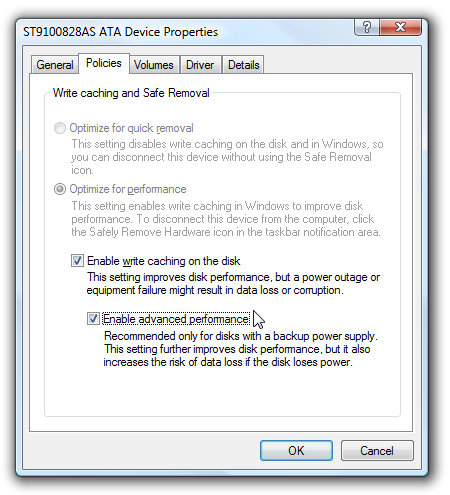 Enable Advanced Caching – In Device Manager, go to your SATA hard drive’s properties, got to the policies tab, and Enable advanced performance. 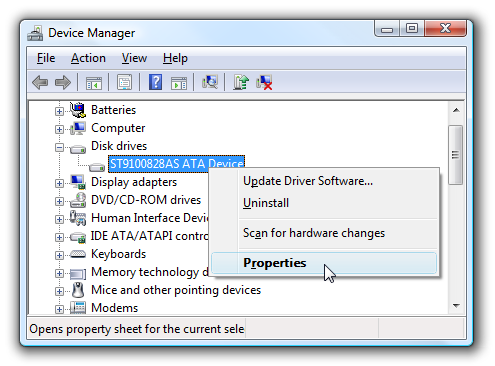 Windows 7 and Vista has built-in support for Serial ATA(SATA) hard drives, but it doesn’t automatically enable advanced write caching features. You can speed up your computer by enabling this mode in Device Manager. Open the Disk drives section of the tree, and right-click on your hard drive, choosing Properties. Click the checkbox for Enable advanced performance, and you are done.